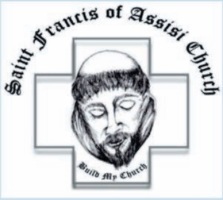 Ministers of Holy Communion prayerfully serve the people of Saint Francis of Assisi Church by distributing the Body and Blood of Christ during Eucharistic celebrations. “It is a gift to be a Minister of Holy Communion – to share the Body and Blood of Christ with another,” said one Minister of Holy Communion reflecting on her experience at Saint Francis of Assisi. The moment of communion is one that should be seized by both the minister and the communicant. This moment is unique because it is both personal and much bigger than the two people. Those called to this ministry have, or soon acquire the grace in movement and reverence . 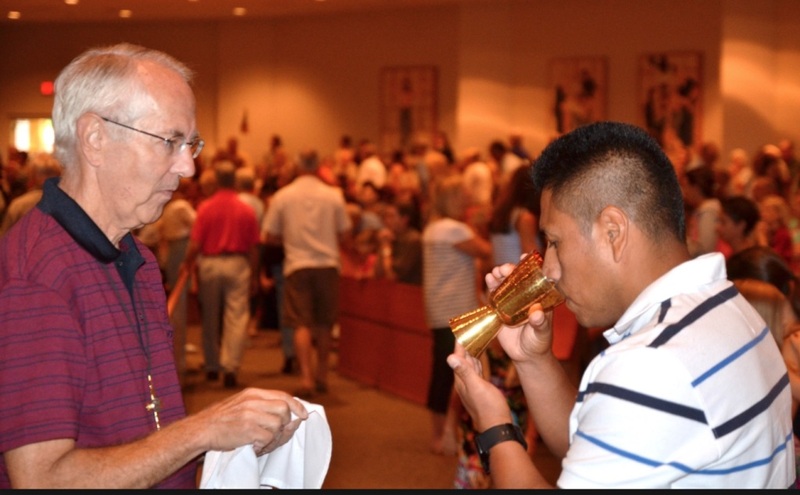 Reverence is especially important for Ministers of Holy Communion since their whole work involves taking in hand the vessels of the Body of Christ and of the Blood of Christ and sharing them with everyone. The eyes of the minister should meet the eyes of the communicant. The minister says words of the formula “the Body of Christ” directly to the person. When placing the consecrated host into the hand of the communicant there should be a slight and brief touch. The same is true of the cup, eye contact, the words “the Blood of Christ” and touching! All are in communion with the person of our Lord. Cardinal Mahony, author of "Gather Faithfully Together" says: What does it mean when the Body of Christ comes forward to receive the Body of Christ?” It is the Body of Christ giving the Body of Christ to the Body of Christ. We have communion with our living, loving, and nourishing God. This means that there can be no rush. One can minister communion with reverence and dignity and personal attention and still keep the process moving steadily. Likewise for our non communicants, special care is necessary when saying a blessing over the people who come forward for a blessing. Eye contact, words of welcome and blessing "May God bless you". Eucharistic Ministers make the communion rite take place in a timely fashion. This is not a matter of efficiency, but recognition that its meaning cannot be separated from our experience of it in the ritual. When “going to communion” takes a long time, and we are not sharing a meal with our brothers and sisters, then the communion rite loses its association with the Eucharistic prayer and the breaking of the bread. The number of Ministers of Holy Communion is based on the number of communicants at Mass. Ministers of Holy Communion are those who assist in administering the Eucharist at all Masses. If interested, contact Rose Marie Morris via email at rmor1938@yahoo.com or by phone at (941) 830-8739 or completing the Volunteer Information Request Form below.